Located on a wooded promontory overlooking the Delaware River, Andalusia has been a stately presence on this stretch of water, just north of Philadelphia, for more than two hundred years. The ancestral home of the Biddle family, Andalusia is also a natural paradise of native woodlands and spectacular gardens that have evolved over time. Placed on the National Register of Historic Landmarks in 1966, the Big House -- one of the finest examples of Greek Revival architecture in the United States -- provides an unparalleled look into our nation's past, while also offering a glimpse into the life of a family that helped to shape its future. Its surrounding gardens delight the senses all through the year, from the tumbling, brightly-colored leaves of fall to the floral extravaganza of spring and the abundance and scent of summer. Nicholas Biddle (1786-1844), a prominent financier and cultural leader of the early Republic, married Jane Craig (1793-1856) in 1811 and acquired Andalusia from her parents’ estate in 1814. Since then, Andalusia has been the seat of the Biddle family of Philadelphia, distinguished as prominent bankers, investors, diplomats, lawyers, politicians, military heroes, artists, agriculturists, and horticulturists. 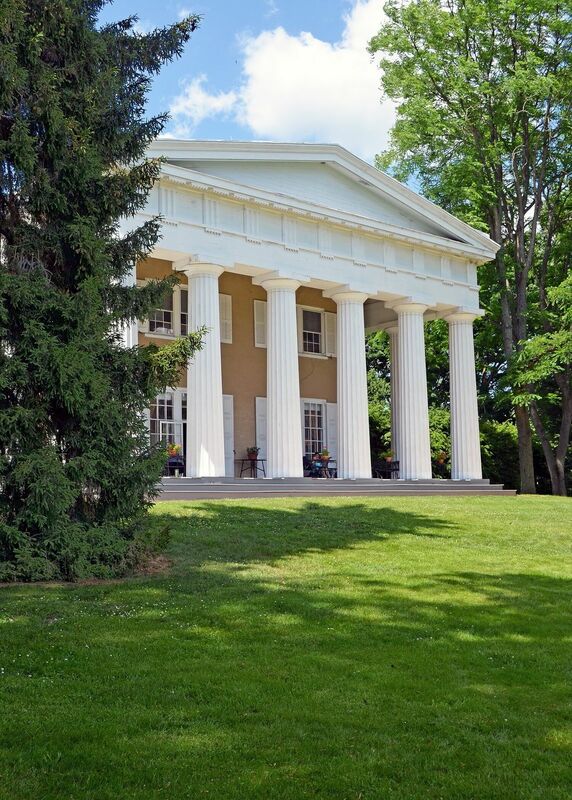 With its soaring white columns, the Big House at Andalusia is considered one of the finest examples of Greek Revival architecture in the United States, and is one of the most recognizable buildings in America. Home for generations to the Biddle family, the story of Andalusia both parallels and reflects that of the United States itself. Visiting feels like stepping into history. The Big House at Andalusia was placed on the National Register of Historic Landmarks in 1966. Even the earliest visitors to Andalusia remarked upon it – the delicious, pervasive sense one has here of having left the world, and its cares, behind. To drive through the woodlands to the Big House, with its stunning view of the Delaware River, is to enter an oasis of calm. This feeling is intensified in the property’s lush gardens, newly reconceived by the renowned, London-based landscape designer and plantswoman Lady Arabella Lennox-Boyd. As one wanders through these fragrant spaces, intoxicated by their beauty and array of fascinating plant varieties, the sense of peace and wonderment only grows. In 1795, John Craig, a Philadelphia merchant, purchased a 100 acre country estate upriver from Philadelphia in response to the outbreak of yellow fever in the city in 1793. He called it Andalusia, reflecting his business as an importer of trade goods from Spain. Benjamin Latrobe (1764-1820) was born in England, and emigrated to the United States in 1796. He is known as the young country’s first professional architect. By 1806, Latrobe had already been appointed General Surveyor of Public Buildings in Washington, D.C., the nation’s new capital. In Philadelphia, his first major project was the Bank of the United States on South Second Street (constructed 1798-1801). Latrobe designed some of early America’s most important buildings including the President’s House and the Capitol in Washington, D.C. In 1833, Nicholas Biddle chose architect Thomas Ustick Walter, to make significant changes to the Craig House. Walter, who later worked on the Capitol Building in Washington, D.C., trained in the office of William Strickland, designer of the Second United States Bank. Interestingly, Walter’s father, Joseph, to whom Thomas apprenticed when younger, was a bricklayer in charge of the construction of the Bank along with Daniel Groves. Thus, Nicholas Biddle, as President of the Second Bank would have been familiar with their work. Additionally, Biddle served as President of the Girard College Board of Trustees which awarded Thomas U. Walter contract of designing the school for poor, orphaned boys. Andalusia’s interior reflects generations of occupancy by the same family. Furnishings are original to the period and many are situated in the same setting as when they were first acquired. A room devoted to Commodore Biddle displays objects related to his forty-eight year U.S. Navy career. 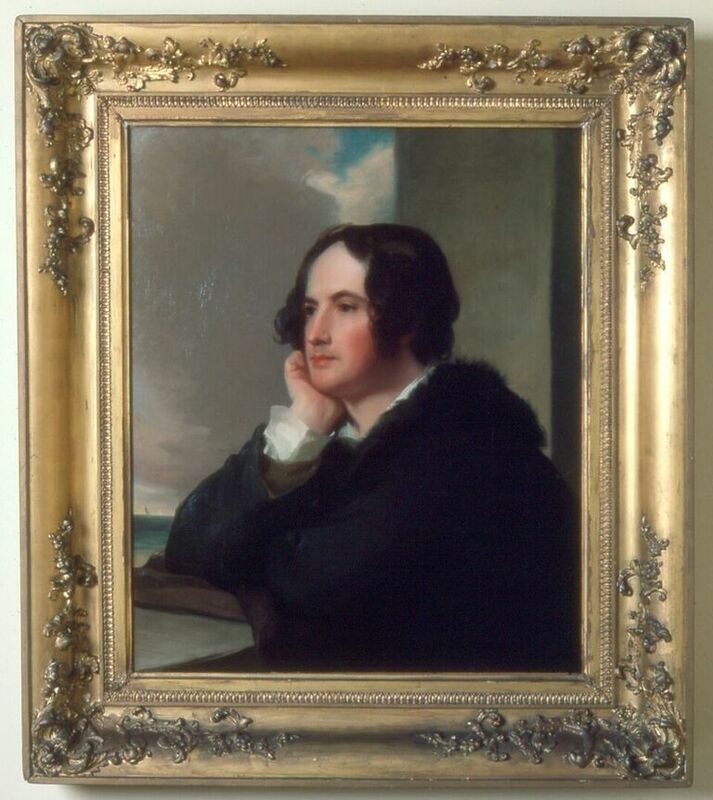 It includes gifts from his travels to Nicholas and Jane Biddle, and their children. The extensive library at Andalusia contains more than 3,000 rare volumes, some dating back to the 17th century, all preserved in their original environment. On the shelves is Nicholas Biddle's signed copy of the 1814 Lewis and Clark Journals, which he edited. 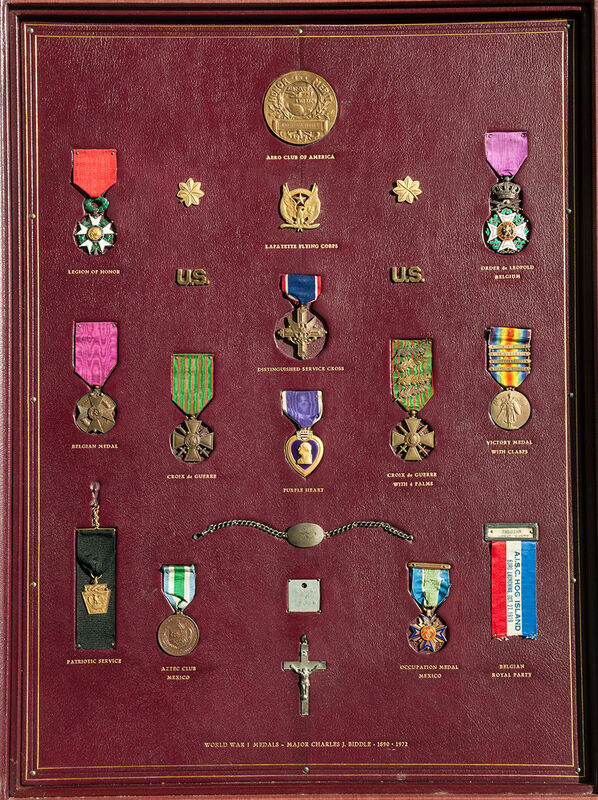 Other objects include a statue of Napoleon and Charles J. Biddle's World War I medals. In 1831, Nicholas Biddle's brother, Thomas, a distinguished veteran of the War of 1812 serving in the Army in St. Louis, was challenged to a duel by Missouri Congressman Spencer Pettis. The disagreement between the two, in part resulted from perceived insults to Nicholas Biddle and his defense of the Second Bank of the U.S. battle with President Andrew Jackson. 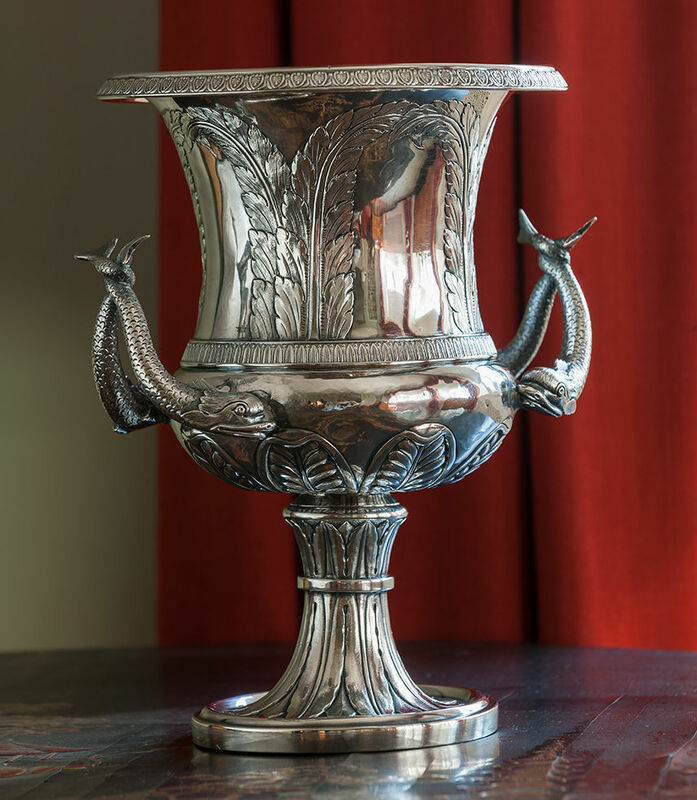 Before the duel, Thomas Biddle instructed his wife to commission vases for each of his siblings as a remembrance. An 1827 copy of Jacque-Louis David's Napoleon Crossing the Alps hangs in the Study. During his exile in the United States, Napoleon's brother and former King of Spain, Joseph Bonaparte, was a friend of Nicholas Biddle. Bonaparte allowed Biddle to commission American artist Bass Otis to paint a slightly smaller version than the original one at his country home, Point Breeze, in Bordentown, New Jersey. In 1980, James Biddle, then President of the National Trust for Historic Preservation and a leader of the historic preservation movement in the United States, made the decision to divide Andalusia and give away the Big House and nearly 50 acres of land to the Andalusia Foundation. The time had come, he felt, to share Andalusia’s beauty with others who would understand and appreciate it just as the Biddle family had done for generations. Since that time, the Andalusia Foundation has cared for this incredible building and welcomed tens of thousands of visitors to share in its history, and step back in time to imagine lives played out long before our own. Click here to sign up for our mailing list to stay informed about upcoming events and programs that will support the Foundation. Become a Friend of Andalusia. Friends of Andalusia are individuals, corporations, and organizations dedicated to the financial support of the Andalusia Foundation. Your generosity and engagement support the preservation of historic Andalusia’s buildings and gardens, enabling us to open the property to the public and preserve the site for future generations. Membership provides access to information, tours, and special events throughout the year, as well as the critical financial support required to maintain and open the estate for public tours. Your support is significant and extremely appreciated. The Andalusia Foundation is a 501 (c)(3) charitable institution. Membership gifts are fully tax-deductible to the extent allowed by law. Andalusia survives today because so many people have given their time and resources to caring for this extraordinary place. The Andalusia Foundation is dedicated to preserving the Big House, its archives, and collection for the benefit of the general public, and to ensure that this jewel of American history survives to delight, and inform, Americans for years to come. Andalusia's Archives contain letters from family members, noted historical leaders of the 18th, 19th, and 20th centuries, as well as journals, photographs, and miscellaneous documents. Available to researchers and scholars from around the world, these documents bring American history to life in the words of those who lived it. For example, there are letters between Nicholas Biddle and James Monroe, letters from Revolutionary War hero Captain Nicholas Biddle, and letters from Joseph Bonaparte and General Lafayette. In addition, hundreds of letters belonging to Commodore James Biddle (1783-1848) during his forty-eight years in the Navy are also part of the collection. Andalusia is proud to be a member of America's Garden Capital!